Create your own private wine tasting. 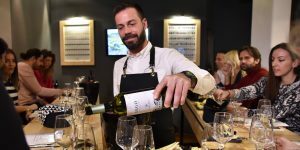 Our Private Wine Tastings are remarkable, personalized wine tastings in our place right under Acropolis with a professional and experienced tour guide. 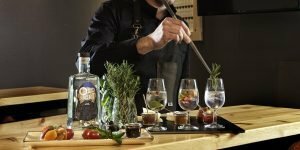 Fully customized tastings are perfect for groups of two or parties of any size who are looking for a more intimate, specialized experiences with ATHENS WINE TASTING or any other location of your choice. We provide Private Tastings for larger group wine tours and special, social events like private wedding related tours, family reunions and birthday celebrations. We can customize corporate outings for companies looking to add some zest to their team building or reward your top colleagues or clients. If you’re interested in a larger Private wine tasting send us a request at info@athens-winetasting.com for more information and a customized quote. Are you looking for personalized experiences? Tasting top-class Assyrtiko from Santorini, a robust Xinomavro and other local varieties? Meeting wine-makers and winery owners and perhaps even tasting wines at their homes? Are you into wine museums tours? Barrel tastings? 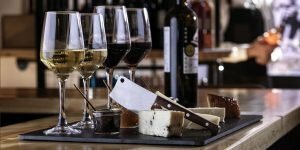 Food and wine pairings? How about riverside vineyards? Elegant chateaus? Farmhouses? 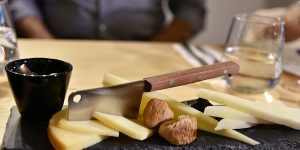 This region offers such a wide variety of unique, lifetime memorable activities providing thousands of different combinations available for a perfect wine-tasting day! Because wine tastings is our core business and our passion, we have a great deal of experience in this area and we go to great lengths to cultivate relationships with the most beautiful and amazing wineries to provide the most compelling wine tasting tour experiences. We’ve come to know who does what the best in the area. Our unique place under Acropolis provides a one-of-a-kind, top-notch wine tasting experience. We would love to put that expertise to work for you!